Do you know what’s starting in a few days? 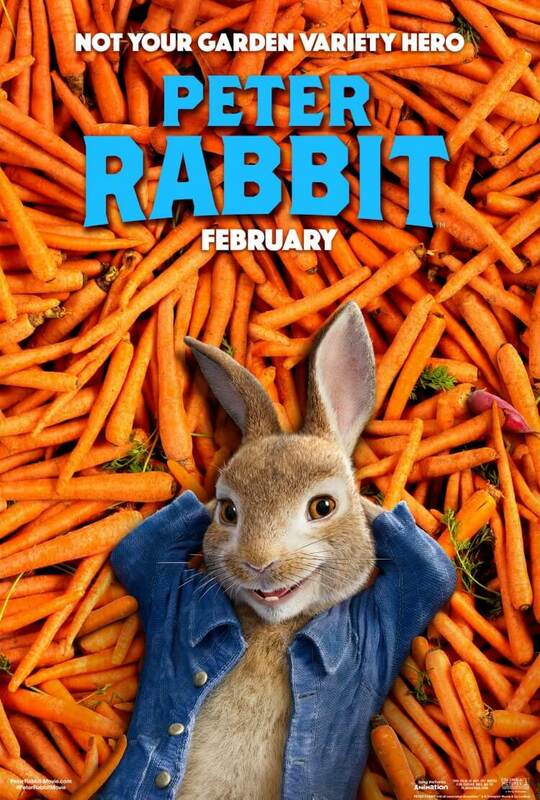 The new Peter Rabbit movie! The kids can’t wait to see it, and neither can I. 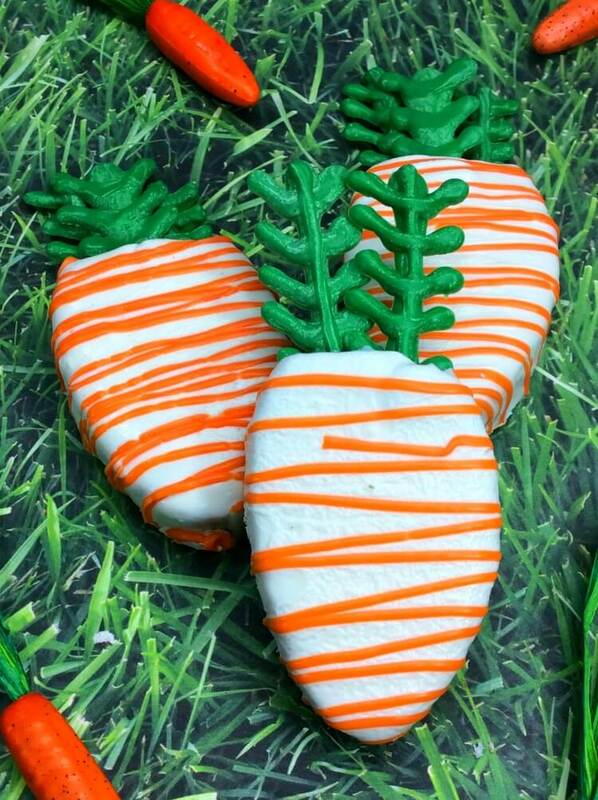 In celebration, we’ve got some delicious Carrot Cake Carrots. 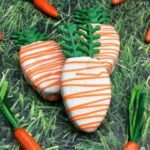 They are carrot cake balls made into the shapes of carrots! Perfect for Peter Rabbit and Easter! Scroll down to the end to see how to make these delicious treats! Are you excited for the new movie? The previews look so funny, and I just love James Corden. Check out this trailer for the new movie. It looks so cute and adorable! 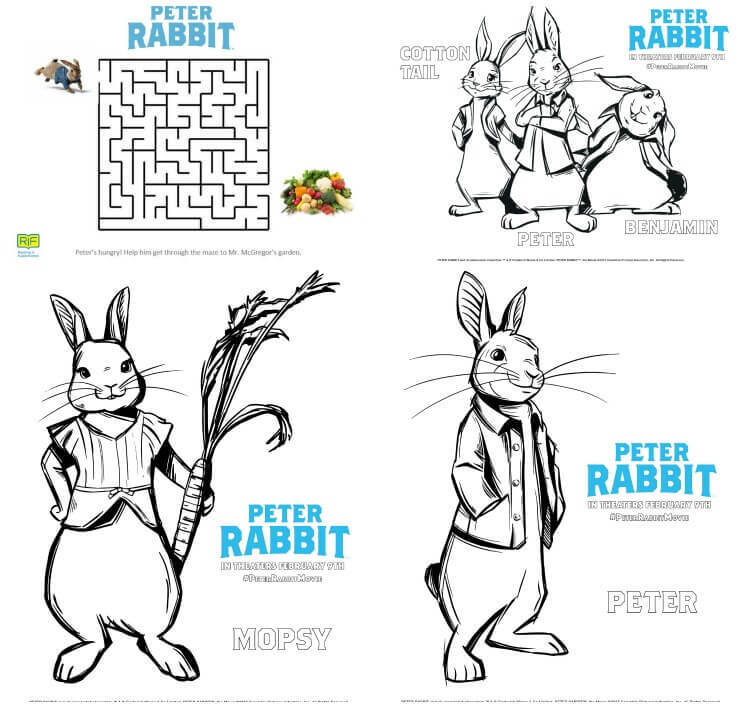 If your kids love to color and do fun activity sheets, download these for Peter Rabbit below. I don’t get out the wire racks very often, but for this recipe, you’re going to need one. Combine the carrot cake mix with butter, milk, vanilla, and eggs and beat with an electric mixer for 2 minutes. Then, add the additional shredded carrots and pecans if desired. I am not a fan of pecans, so I almost always leave them out. Then, bake the cake for 25-30 minutes, until a toothpick comes out clean in the center. Then, let it cool. Once the carrot cake has cooled completely, crumble it into a large mixing bowl into fine crumbs. Then, add two big spoonfuls of the cream cheese frosting and mix it up until it’s like a dough. Go slowly with adding the frosting. If you add too much, the dough will fall apart. Once you’ve got the right consistency, flatten the cake batter into cake “dough” onto a cookie sheet and set aside. Next, it’s time to make the green stems for your carrots. This will take some practice. I’ve found making them thicker is better, and definitely make a few extra because they can break. Microwave the green candy melts for 30 seconds at a time, stirring after each 30 seconds, until they are completely melted and smooth. Then transfer the candy melts to a piping bag. Place some wax paper on a second cookie sheet. Then, cut off the tip and pipe the stems about 2-3 inches long with leaves along the lines. Remember, don’t make them too thin. Then, pop that cookie sheet into the freezer for 10 minutes to harden. Next it’s time to make the carrots. Using a carrot cookie cutter cut out the carrots and place each one onto the first cookie sheet. Cut off the tops of the carrots and add them back to the cake dough. Using the same microwave method, melt the white candy melts. Once they are melted, add in 2 tablespoons of coconut oil to thin out the white candy melt. Then, transfer them to a piping bag and set aside. Place the carrot sized cakes onto the wire rack with something like a cookie sheet or pan underneath. Gently push the stems into the top of each carrot. Then, cut the tip off the white candy piping bag and make large drizzles over the cakes so that each is completely coated in white. Lightly tap the tray on the counter so that any excess drips off the cake. Using the same microwave method, melt the orange candy melts. Then, transfer the candy melt to a piping bag. Cut off a small tip and drizzle the orange over the white. With an electric mixer, beat cake mix butter, milk, vanilla and eggs on medium speed for 2 minutes. Mix in the shredded carrots and chopped pecans (pecans optional). Pour batter into cupcake pan. Bake in the oven for about 25-30 minutes or until toothpick inserted comes out clean. Crumble cake completely into a large mixing bowl to fine crumbs. Add spoonfuls of cream cheese frosting into the crumbled cake and mix until it becomes a dough like texture. Flatten out cake dough onto a cookie sheet and set aside. Using the microwave, melt your green candy melts for 30 seconds at a time, stirring each time, until completely melted. Once melted transfer it to a disposable piping bag and cut the tip off. Pipe stems onto wax paper on a second cookie sheet by piping a thick line about 2-3 inches long and pipe leafs along the lines. Pipe them somewhat thick as they can break. Pop the cookie sheet into the freezer to dry the stems for 10 minutes. While the stems are drying, use a carrot cookie cutter to cut out carrot shapes onto the first cookie sheet. Cut the tops off the carrots and mix the tops back into the cake dough. Melt the white candy melts just like the green candy melts in the microwave. Once melted add 2 tablespoons of coconut oil to thin out the white candy melts. Then transfer the white candy into a piping bag and set aside. Pour into a piping bag and set aside. Carefully push the stems into the top of each carrot. Place the carrots onto a wire rack. 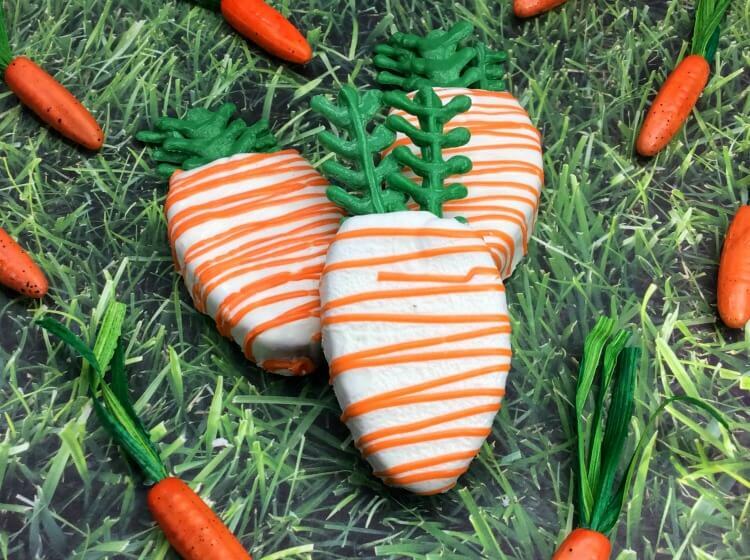 Using the white candy melts, cut the tip off piping bag and make large drizzle over the carrot cakes so that each is completely coated in white. Lightly tap the wire rack onto a counter so that any excess drips off the cake. Melt the orange candy melts in the same microwave method. Once melted, transfer into a piping bag. Cut the smallest tip off the orange piping bag and drizzle over the white on the cake. Let completely dry before gently removing from the wire rack with a metal spatula. Are you going to see the new Peter Rabbit movie? Those are super cute! I need to make up a batch of these for the kids. SO adorable. I can’t wait to see this movie! 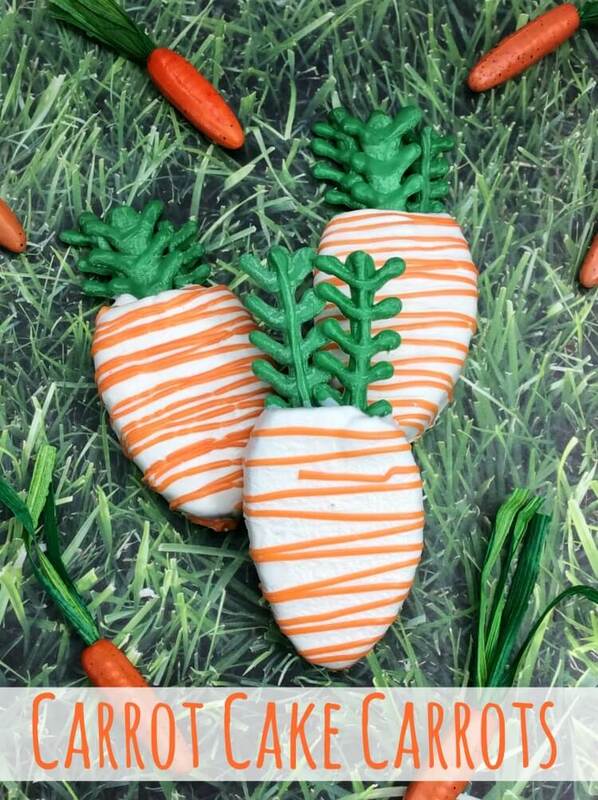 And these carrot cakes are SO cute! Love them thanks for the inspiration! That is such a cute recipe!! My kids can’t wait to see that movie!! Maybe I’ll have to make some of those to get into the mood! Oh my gosh, these are adorable! I love cake pops and similar treats like these, so these are definitely going on my must-make list for Easter time. I can’t emphasize on how completely adorable these are! Also, it’s making me super excited for the upcoming movie! These are super cute! Carrot cake is my husband’s favorite cake! These are perfect for Easter! That was a cute idea. I’m sure that taste as delicious as they look!. I would love to try making this. My boys would both probably DIG this! Okay, these are cute and look amazing. Carrot shaped carrot cake; perfect! They are too cute to eat though! Seriously these are really awesome. I am not sure if we will see it or not. we all want to though. We are really excited about seeing Peter Rabbit. It looks so sweet! 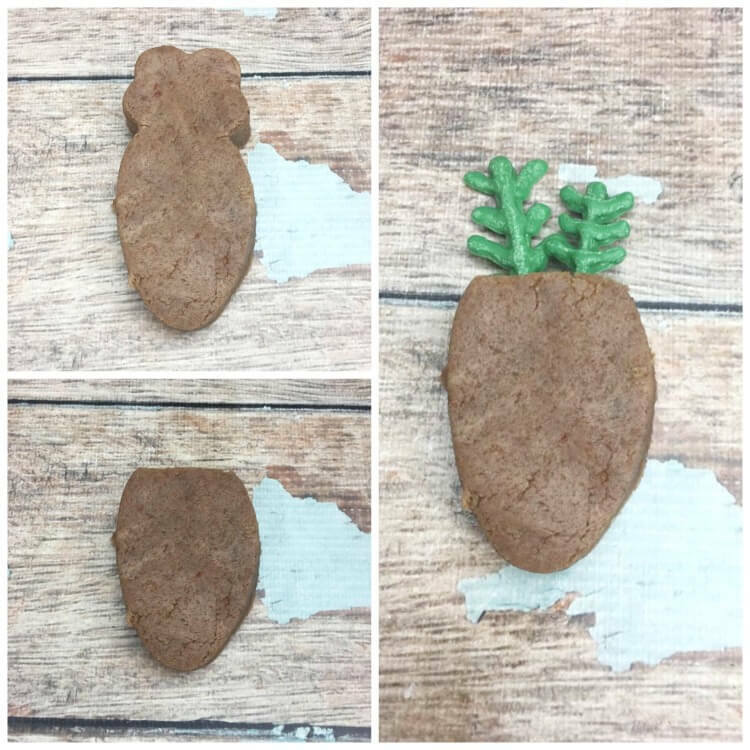 Those carrot cookies are going to make the waiting a little easier.